I'm really enjoying the holiday themed bentos, but I also really needed to finish out the last two Goldfish breads we had in the fridge. With a little bit of ingenuity, some cheese, and my kitchen shears, we have Santa Fishie! 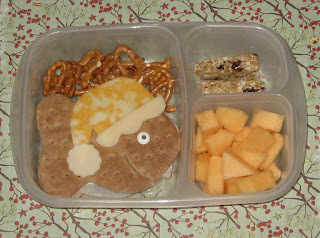 Santa Fishie is made from Goldfish bread, filled with turkey and cheese, and topped with a Santa Fishie hat (marble cheese with swiss trim) and a happy fishie sugar eye. To go with him, we have pretzels, a granola bar and some cantaloupe. 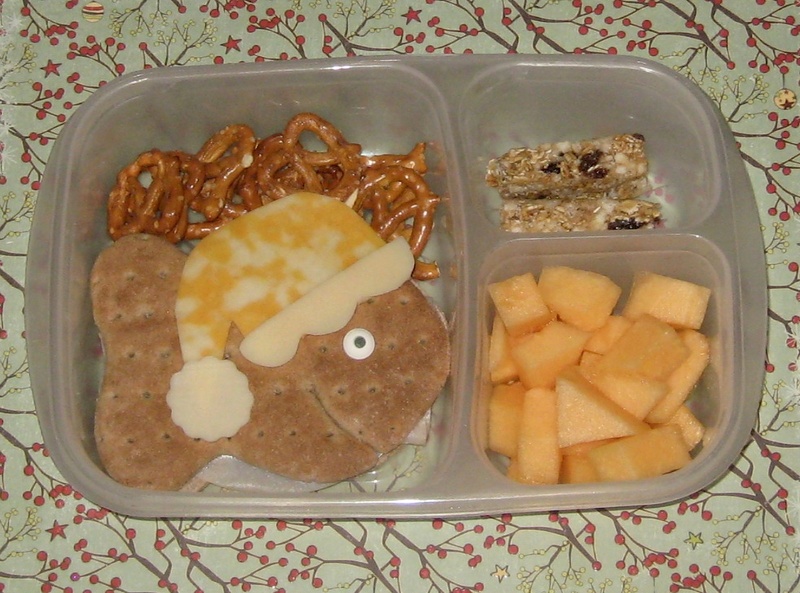 Santa Fishie is riding to school in style in his Easy Lunchboxes sleigh (also available on Amazon). This is adorable! I might have to fix a Santa fish sandwich for my son. I have some Goldfish bread I need to use up, too! :) ~Cute idea. Your Santa hat is perfection! Hahahaha! Love the Santa hat!